Smart-Clip is a professional device that removes SP/SIM/phone lock and resets Security/User Code. Richest and constantly updatable flash files database at portal www.boot-loader.com. Our specialists developed easy step-by-step procedures for operation with a great number of the latest phone models. Some of the models are supported EXCLUSIVELY by our device, for other models we offer much more convenient way of unlock/flash/repair process than the similar products do. Besides that, every Smart-Clip user obtains access to over 210 GB of flash files for the supported phones. Smart-Clip firmware update, registration procedure and login to flash files portal can be performed by means of the Internet in real-time using our ActiveX client. Updates include the latest firmware AND additional phone vendors/models support. NOTE: Firmware updates are FREE OF CHARGE for Smart-Clip with S-Card connected. 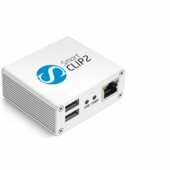 Smart-Clip with S-Card dongle can be used on any PC and will not be bound to the computer hardware. No future version of Smart-Clip or SmartMoto will be usable without S-Card dongle connected. Flash file formats available at www.boot-loader.com are supported by SmartMoto. Also direct flashing with *.pcf format and original flash files is allowed using SCout flasher (TestPoint connection method is not necessary for flashing). Access to flash files database. NOTE: No future version of Smart-Clip or SmartMoto will be usable without S-Card dongle connected. 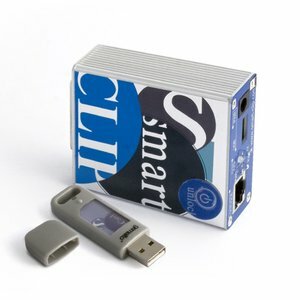 Smart-Clip registered with the USB key will provide an access to the new level of flash files database at portal www.boot-loader.com. New flash file formats will be supported by SmartMoto, also direct flashing with original flash files will be allowed (TestPoint connection method is not necessary for flashing anymore). As soon as S-Card dongle and Smart-Clip are connected to PC, SmartMoto is ready to operate. There will be no additional S-Card interface implemented in SmartMoto software. The only parameter that distinguishes SM v2.0 from the previous versions - the software will detect S-Card first, only then Smart-Clip serial will be found. All further unlocking/flashing procedures remain the same according to SmartMoto User's Manual. Smart-Clip is a user-friendly and easy-to-use GSM solution. All procedures and recommendations concerning unlock/flash/repair of various versions of mobile phones are located at the product's official website (SmartMoto user's manual). In case of any unclear issue, a user may refer to FAQ or TROUBLESHOOTING sections that are regularly updated. Our support specialists are available for the users who require information concerning Smart-Clip operation. Any of them is welcome to ask questions or share ideas at our FORUM, communicate with our Support Team via e-mail or instant messaging systems (ICQ, MSN, Yahoo!, Sonork) or create a Support Ticket. The queries are answered within 24 hours. Smart Adaptor for Smart-Clip brings up new possibilities in the device operation. Warranty starts when Smart-Clip is updated for the first time. Please note that cables are the accessories and are not covered by warranty.